eloomi founded with a big passion and love for art. 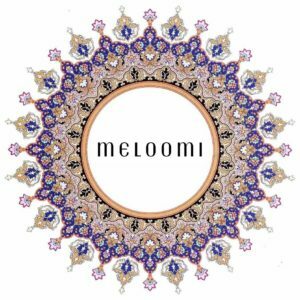 Established in London, Meloomi represents emerging Iranian and international artists from around the world. At Meloomi we are working with a vibrant community of artists who are trying eagerly to present their artworks to people who admire authentic fine art. We are proud to be able to exhibit the less-known faces of modern art all with a fascinating message, to art enthusiasts, collectors and connoisseurs. There is a story behind every single artwork and how it’s been created, from painting Scissors as a way to oppose censorship in Iran to Doom collection that is trying to challenge the achievements of societies which impose their authority on people’s identity and individuality. You can read about the story and purpose of each artwork on its own page. Our dedicated team in our London office are doing their due diligence to give our valuable customers the best possible experience. Our team are here to answer all your questions, receive any feedback and give all the advise and guidance you may need upon your enquiry. If you have any questions please don’t hesitate to Contact Us. You can also read our Frequently Asked Questions. Meloomi started with an art-loving team to support artists and present genuine artworks to the world. We guarantee to deliver your purchase on time! All our artworks are 100% genuine and authentic. Every Artwork comes with a certificate of authenticity. Signup to our newsletter to and be the first to see the newest catalogues and receive promotions.